The "Architectural Love Story" narrated by MOS architects in "The Romance of Systems" is about the dialectic between systems and shapes and the impossible yet inevitable dialogue between "systems people" and "shapes people" in the architectural discourse. 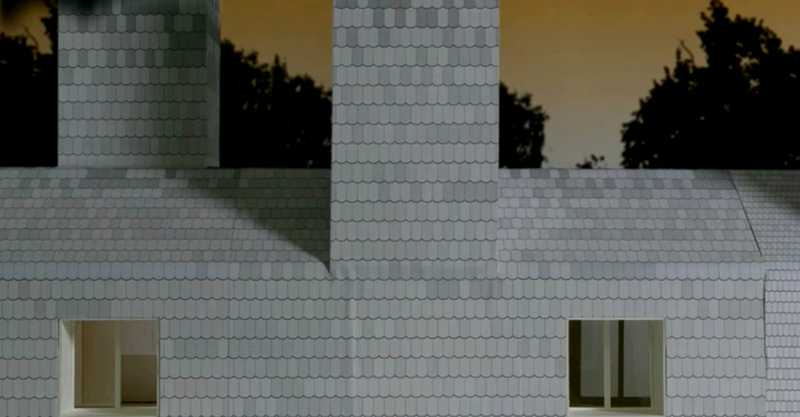 The digital representation of the facade of the Element House - a project by MOS architects - remains on the backdrop of the philosophical dialogues between Alice and Frank, an imaginary couple who live and work there together. They spend the whole night discussing shapes and systems while a virtual camera peeks at a little part of their conversation from the outside, from the windows of the archetypal shape of a house derived from the Fibonacci sequence.